Farm Food is a Dutch family business that is founded by Gerrit de Weert and his wife. Nowadays, Farm Food has employed more people to take care of production, distribution and product development. 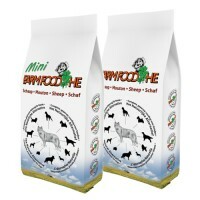 Farm Food Dog Food is a premium range of diet food for dogs for every size and age. Farm Food HE is pressed dry food, which means it is produced at lower temperatures than normal. Thanks to this special production method, the quality of ingredients is not damaged, modified or reduced in any way. Pressed dog food does not contain any chemical additives such as artificial antioxidants, preservatives, binders, colourings or flavourings. 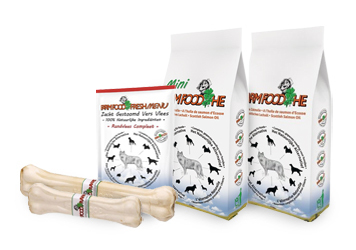 The combination of premium quality ingredients, high production standards and low production temperatures used, ensures high-end dog food and no troubles for your dog's metabolism. If you wonder what varieties of Farm Food are available, then keep on reading below. 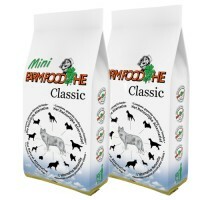 Farm Food HE Classic: compressed dog food without any additives such as binders, colourings or flavourings. This is the standard version of pressed food for your furry friend. 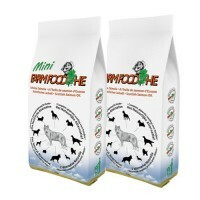 It is suitable for all dogs irrespective of age, breed or size and made out of pure organic ingredients. Does not contain chicken or other poultry, but can definitely be mixed with fresh meat! Farm Food HE Scottish Salmon Oil: as with the Farm Food Classic, this natural ingredients-based dog food is free of any preservatives. The difference between the standard edition is the replacement of flaxseed oil (also known linseed) by Scottish salmon oil. For some dogs, this addition has a positive impact on coat care and can help to improve cognitive function or lower blood pressure. 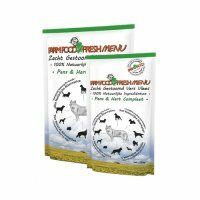 Farm Food HE Gluten-free: pressed at a low temperature, this food is perfectly suited for dogs with a gluten allergy or with sensitive or weak intestines. The wheat that is present in the other varieties is replaced by rice and sorghum. The latter is a seed that can be compared with rice and does not contain any gluten. This version also comes with additional Scottish salmon oil. Farm Food HE Mutton: pressed dog food which contains mutton as an extra ingredient. Good source of prebiotics and can easily be mixed with fresh meat. 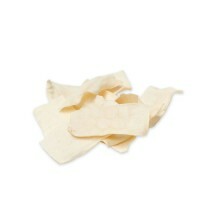 The HE Mutton variety does not contain any binding agents and is derived from pure, organic ingredients. Besides dry food, Farm Food also offers wet food for dogs. This wet food contains a tasty and gluten free meal with softly steamed meat. 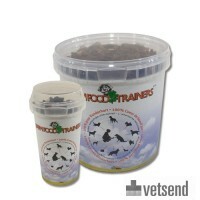 This wet food can be given as an alternative or supplement to frozen meat. Fresh Menu does not contain any poultry or ground bones. In addition, this food is an important source of prebiotics, which contribute to a healthy intestinal flora. Farm Food Fresh Menu is available in various flavours, such as Beef or Tripe & Heart. The dental chews by Farm Food have been specifically designed to help promote your dog's dental health. It has been proven that dogs are better able to keep their teeth and gums clean when chewing on something. This doesn't just have a cleaning effect, but can even help prevent dental plaque or other complications. These natural, tasty dog chews don't contain any additional colourings or flavourings and are available in many different varieties, ensuring that every dog can find their favourite dental chew! 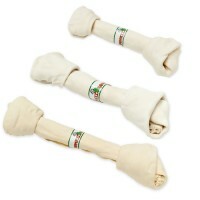 The range includes Dental Rawhide Dental, Deerhide, Trainers and Lambs Ears. Are you in search for proper milk nutrition for your young dog or cat? 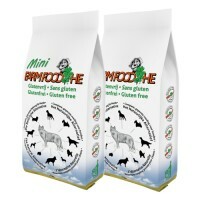 Farm Food No.1 is a complete milk nutrition feed that is perfect for young dogs, cats and other mammals. 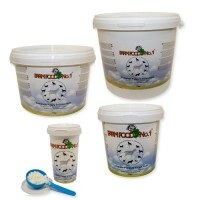 This milk feed is made from goat milk and can be used to supplement or replace mother’s milk. Does your animal need to strengthen? Then consider this goat milk based product from Farm Food.